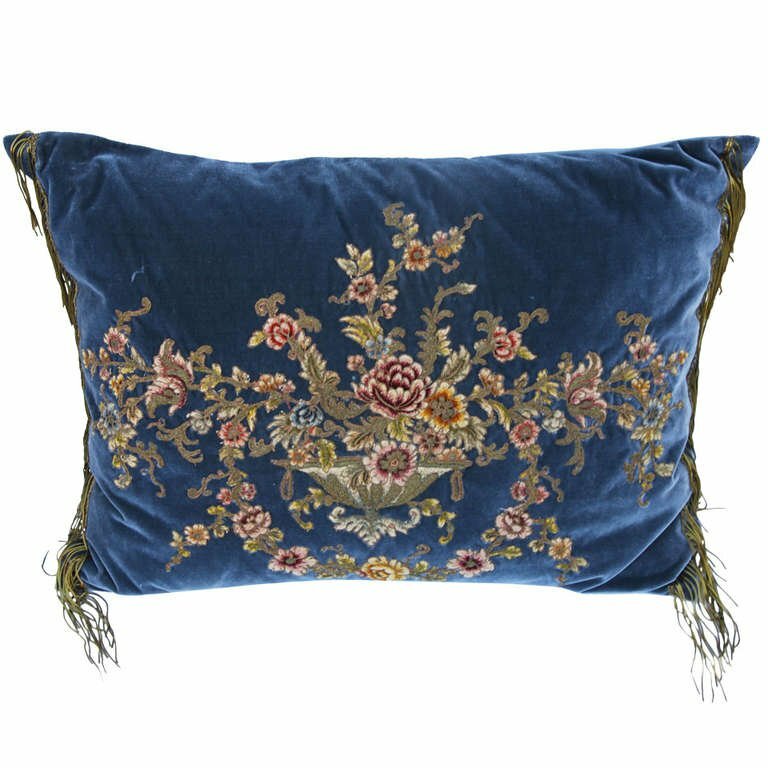 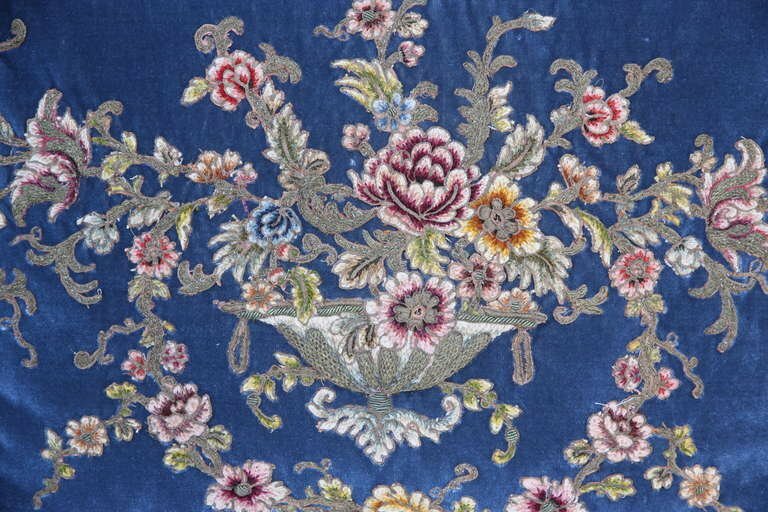 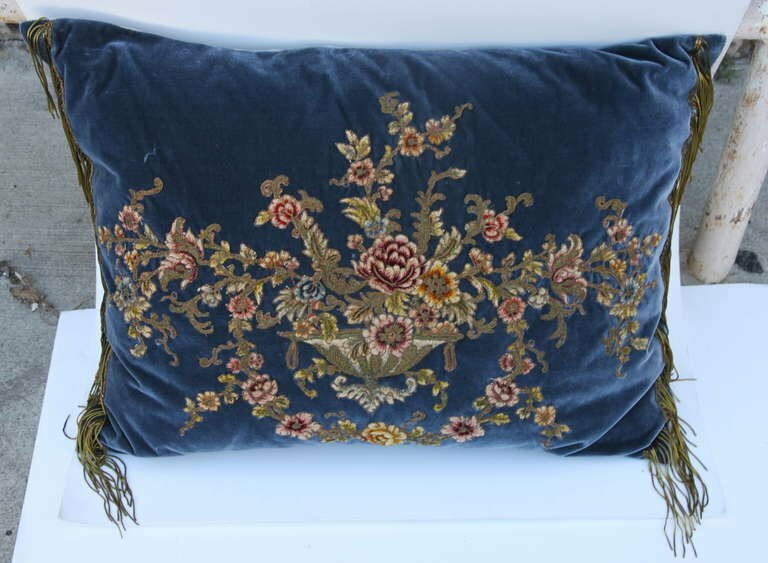 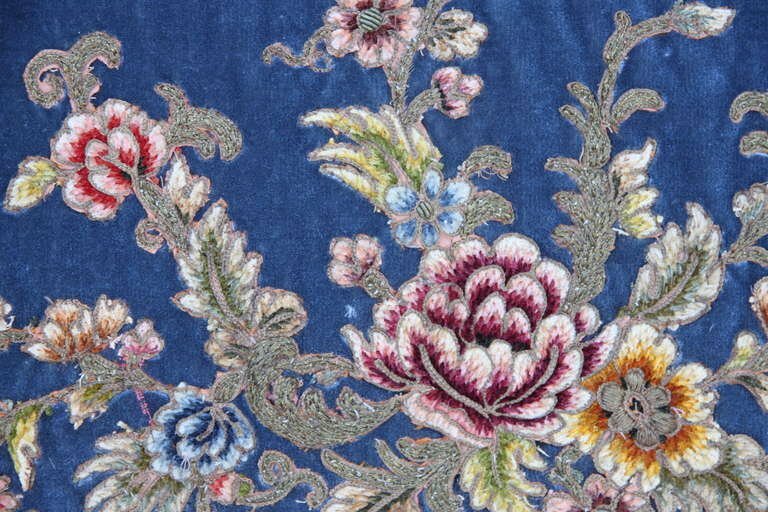 19th century metallic & chenille embroidered blue silk velvet with antique metallic gold fringe at both sides. 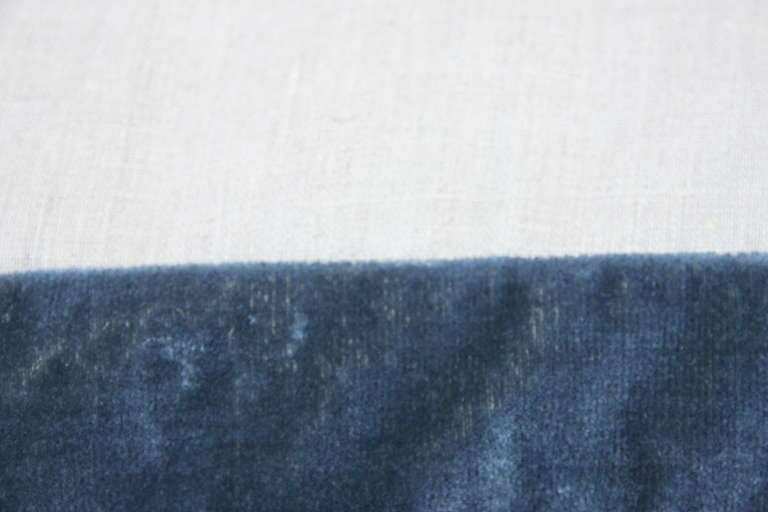 White linen back. 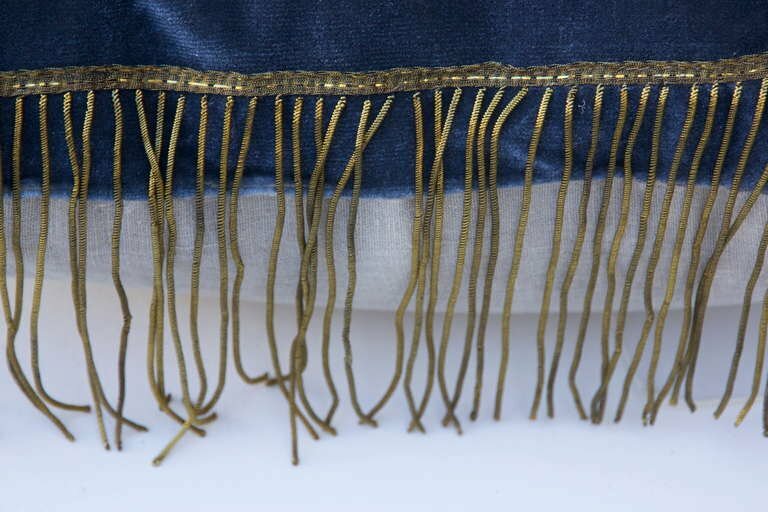 Sewn closed.